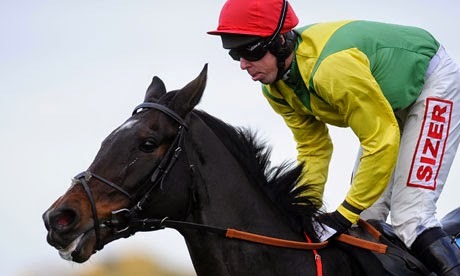 Fans of the tremendously popular veteran chaser Sizing Europe have learned that the 12-year-old is set to return to training with one more season in action on the cards despite reports at the end of last term that the Henry de Bromhead-trained star would most likely be retired. The gelded son of Pistolet Bleu ended last season with an emotional success at the Punchestown Festival, running-on powerfully from the home turn to beat Ballynagour by five-and-a-half lengths in the Grade 1 Boylesports.com Champion Chase. Many believed that owners Ann and Alan Potts would send their star performer off to a much deserved retirement following that win but it appears that the old horse has given plenty of indications that he is not yet willing to hang up his racing shoes and has been brought back into training. Connections are set to make a final decision about his future in a couple of months’ time. In terms of which race guides to look out for over the coming months, it looks like the target for a first run of the 2014-15 campaign is the Grade 2 PWC Champion Chase at Gowran Park in October, a two-and-a-half mile contest that Sizing Europe has won for each of the last three seasons, most recently justifying odds-on last autumn when cosily accounting for the smart Ballynagour. In a career spanning nine jumps season de Bromhead’s charge has won no less than 21 races – 16 in Graded company – from a total of 42 starts. His greatest moment came at the 2011 Cheltenham Festival when, having landed the Grade 1 Arkle Novice Chase Trophy 12 months earlier, he then proved just too good for another Irish star Big Zeb when putting up a memorable performance to land the two-mile chasing crown. All in all the horse who has also won races at up to three miles has won very nearly £1.3 million in total career prizemoney and is a credit to all involved with him.